Fitted new toilet and Camaro flooring to bathroom. We have used Flawless in the past, we trust them implicitly. They always give good advice and deliver a first class fitting service. I run a late night bar in St Ives Cambridgeshire and have worked with Flawless for several years now. They have completely renovated 2 Large customer bathrooms to a very high standard following our requests and ideas. 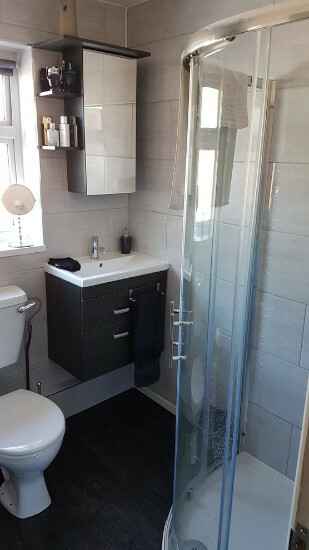 We had a very limited deadline on both bathroom projects so to not affect our trading times and they worked incredibly hard to achieve this from working sundays to very long days something you don’t always see with tradesmen! 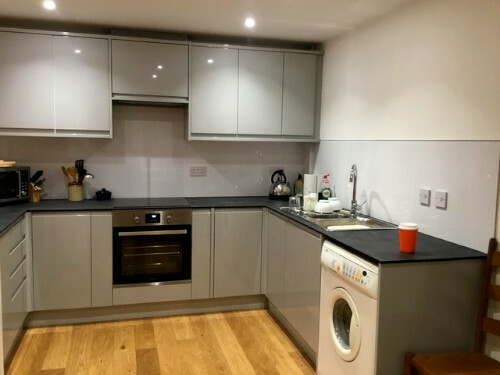 The team also carry out general maintenance for us and have worked on other projects outside of kitchen/bathrooms within our premises. I have more projects due and i will not hesitate to call the Flawless team! Flawless are a very good company to deal with, high quality of work, reliable and very professional. Harry and the team delivered exactly what they said they would, on time. It is great having Amy in the office as it means you can always get hold of someone. Whilst Conner was finishing off our Bathroom which we were Very Pleased with, We asked if he could do our Kitchen to, This was arranged for early September, Again Conner turned up on time and started taking our worktops etc, and fitting the New tops, then he tiled the walls and fitted our New cupboard doors, We can’t express how much we appreciated Connor’s hard work from the time he started the Bathroom to finishing our Kitchen. The communication with Amy in the office was pleasant and Amy was very helpful arranging everything for us which we are most grateful for, If anyone is looking to refurbish a Bathroom or Kitchen, then you need to choose, Flawless Kitchens & Bathrooms, very competitive price’s and a pleasure doing business with them for a Job Well Done. Thank you. 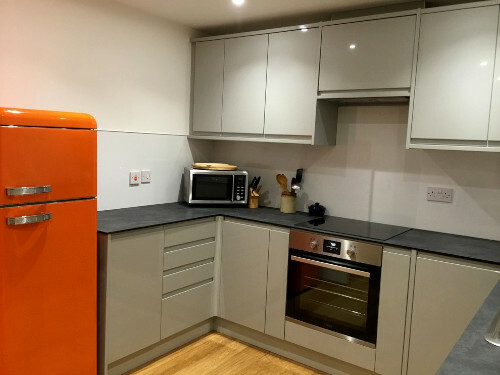 We will be recommending them to anyone who is looking for a New Kitchen or Bathroom in the future. 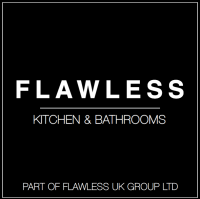 I used Flawless in Spring 2017 to design and install a bathroom and have no hesitation in recommending them. My project involved a range of skills (plumbing, plastering, tiling, simple wiring, joinery) and I found them able to handle all these with a close knit team (unlike bathroom shops that just use lots of unknown subcontractors). The quality of their finishing was very good and after one and a half years I have no problems at all. Harry and his team make an excellent job of whatever they do. They are a delight to have around. Their work is great and they are flexible and helpful. They have been back to me several times to do my main bathroom, ensuite and also to relay my driveway and create a path to my garage and every job they have done has been perfect. They are quick, tidy and they finish the job before they leave (unlike experiences I have had in the past). I can only recommend them and I will be continuing to use their services.